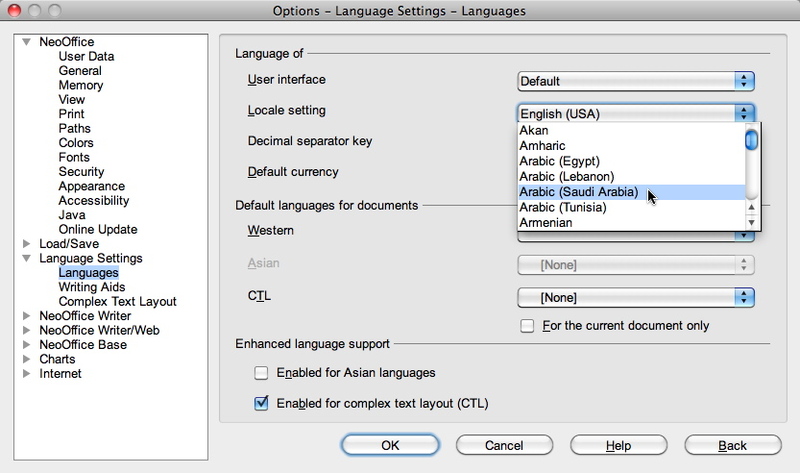 We talked before about how Microsoft is ignoring Arabic speaking Mac users by not supporting Arabic in their Office suite. Apple’s iLife have better support and there is another alternative called NeoOffice. NeoOffice is free and based on Open Office, an open source office suite. Start by downloading NeoOffice (Download link). 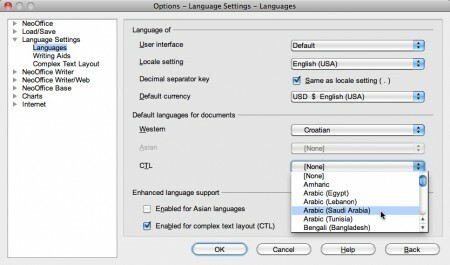 To add support for Arabic do the following: make sure to choose Right-to-Left. Currently there is no Arabic interface choice for NeoOffice, however just go to the preferences, Language settings, languages: Change the locale settings to Arabic (Saudi Arabia). 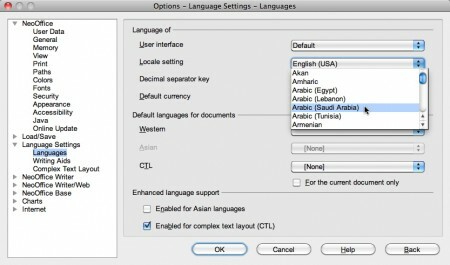 Also change the default language by choosing Arabic (Saudi Arabia) in the CTL (complex text layout) section. If you are aware of other Microsoft Office for Mac alternatives that support Arabic language please feel free to post a comment. 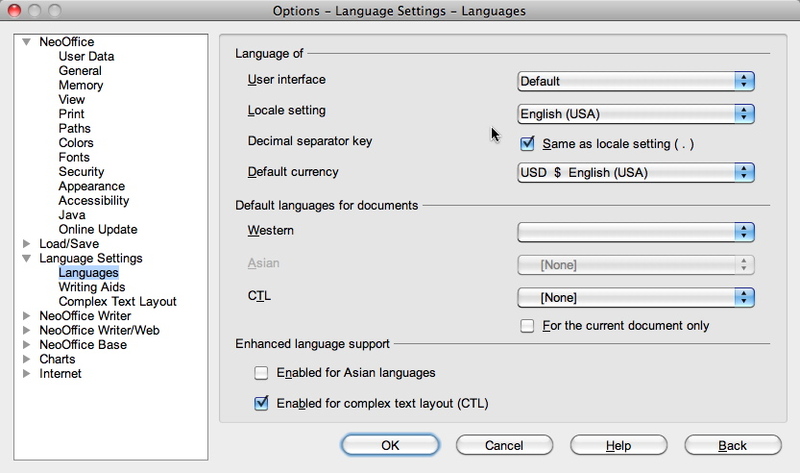 Designed as a Unicode word processor from the ground up, Nisus Writer Pro supports Latin, Cyrillic, Greek, Chinese, Japanese and Korean scripts. Pro enables you to type right to left text as in Arabic, Hebrew, and Persian. Indian scripts such as Devanagari, Gujarati, and Gurmukhi are also supported. No other word processor makes it easier to combine multiple languages in a single document.